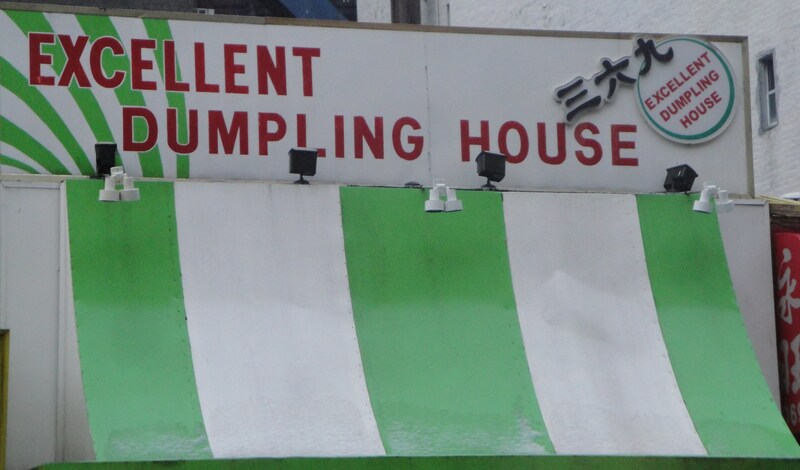 Down in Chinatown, New York, there is a place called ‘Excellent Dumpling House’, which could seem to be a bit of a boastful title if it were not for the fact that they actually do sell ‘excellent’ dumplings. I haved lived in Hubei, China and these really do live up to expectation, of course it is entirely possible that I was being served the worlds worst dumplings by a blind, tasteless, chinese man with a blocked sinus who had never cooked before in Wuhan, but I doubt it. I have to admit that I am very biased towards Excellent Dumpling House, ever since I found the place courtesy of NFT (Not for Tourists New York guide), I have kept coming back. When I lived in New Jersey I would often ride the train in from Princeton and catch the subway downtown on a Sunday afternoon just to get some of their dumplings. These days whenever I fly into the City just like on this occasion I make a first port of call down here. I am already thinking about the lunch that will probably be planned here during the Christamas shopping trip in December as well. 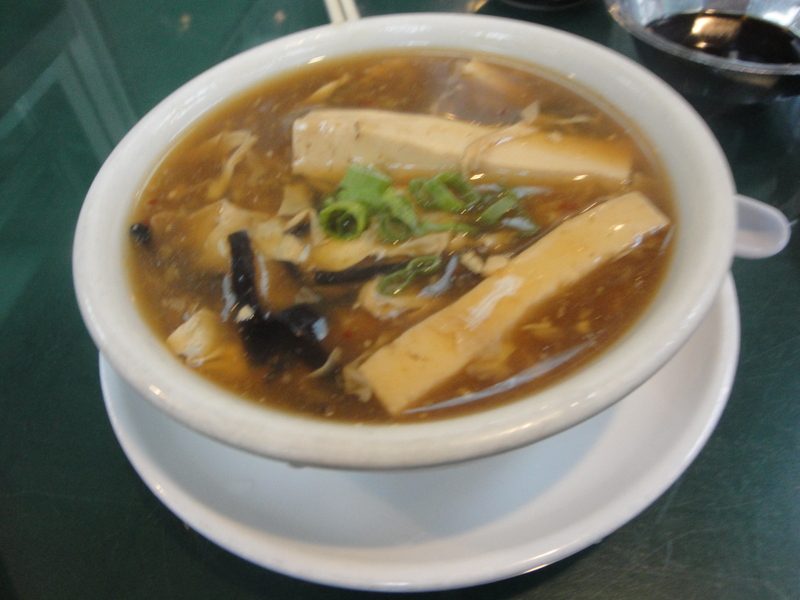 My standard fare is a bowl of hot and sour soup for $1.75, which really helps to clear the sinuses, it has a good chunk of soft tofu in it, which reminds me of Wuhan, and a plate of either steamed or fried pork dumplings for $4.95 . If I have company then we usually get both. 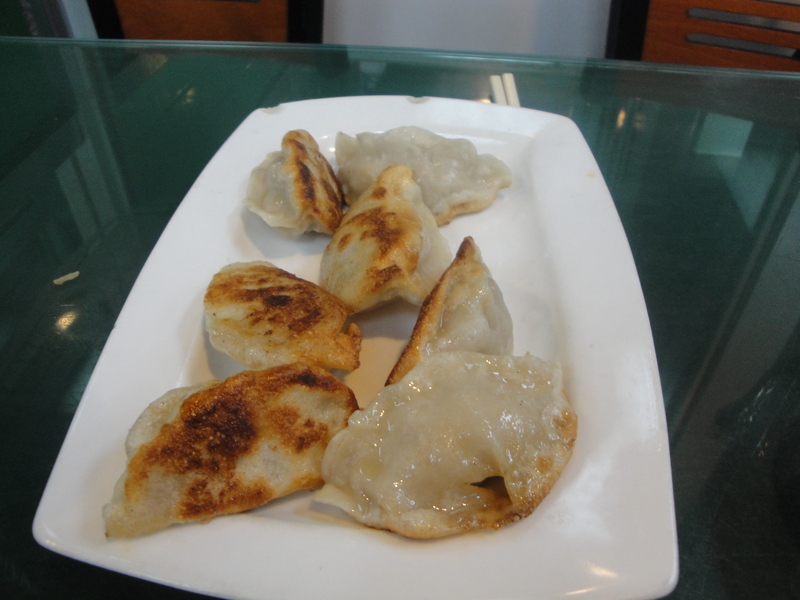 One thing I love, that I probably shouldn’t is that sometimes when you bite into a fresh dumpling a stream of hot pork fat can fire out as you do, it is a choice that either it may hit your neighbour, or that it burns a hole in your cheek, it is a gamble that is worth taking. How else can I sell this place? On one particularly mad weekend I dined at Bobby Flay’s Mesa Grill on 5th Avenue near Union Square and we split a bill of some crazy figure of around $450, the next morning slightly worse for wear I crawled down to Excellent Dumplings and barely able to speak or think had a bowl of noodles and some steamed dumplings and I was alive again. Which was the best meal? Well one helped more than the other, and at least made me full and replete. 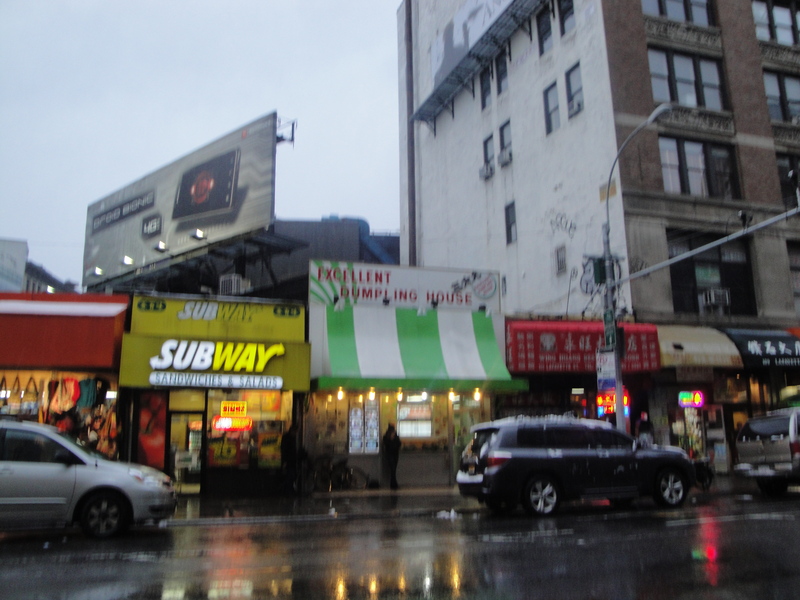 Excellent Dumpling House is at 111 Lafayette Street New York, at the intersection of Lafayette and Canal St. If you walk out of the right exit the subway off the N, Q, R, J lines you are right outside.